Sell For Sale By Owner (FSBO) and list with an agent at the same time. If a buyer agent brings you an offer, that you accept, pay that agent a commission. We list you on the Virginia local agent MLS. Sell by owner - FSBO on the MLS for a flat fee. List your property on the Virginia REALTOR® MLS for a flat fee. You are listed just like any other listing in you local MLS but you have the flexibility to sell by owner and not pay a buyer agent commission. We are your listing agent, but instead of working for a high commission, we are working for a flat fee. We provide all the same services as any agent. There is only one Virginia REALTOR® MLS in your area, and this is where we will be listing your property. We have "unbundled" our services. You pay for the service that fits your needs. We are your listing agent. Your listing will look the same, as all other listings. How much you pay us to list is not mentioned on the MLS. The only commission listed on the MLS, is how much you are offering to pay the buyer or leasing agent. Virginia For Sale By Owner MLS Listing Service may be the future of real estate services for all listings as it just makes sense for home and property sellers. Today, through more than 800 MLSs, brokers share information on properties they have listed and invite other brokers to cooperate in their sale in exchange for compensation if they produce the buyer. Sellers benefit by increased exposure to their property. Virginia Buyers benefit because they can obtain information about all MLS-listed properties while working with only one broker. The Virginia MLS is a tool to help listing brokers find cooperative brokers working with buyers to help sell their clients' homes. Without the collaborative incentive of the existing MLS, brokers would create their own separate systems of cooperation, fragmenting rather than consolidating property information. MLSs are private databases that are created, maintained and paid for by real estate professionals to help their clients buy and sell property. In most cases, access to information from FSBO Virginia MLS listings is provided to the public free-of-charge by participating brokers. Data that is not publicly accessible includes information that would endanger sellers' privacy or safety, such as seller contact information and times the home is vacant for showings. Our Plans are for Selling or Renting your Home. We recommend 3% commission for Homes that are Listed for Sale. Rentals should offer 25 - 50% of the first month's rent. The more offered - the greater chance of a quicker transaction. This is an agent's livelihood. Just like anyone that works - the more money offered - the greater chance you will work for them. We provide you all necessary disclosures needed to sell or lease your property. For our Full Service Clients, we only use only state approved contracts provided by the real estate commission and approved contracts by the NATIONAL ASSOCIATION OF REALTORS®. We list you in your local MLS. A commission must be paid to the buyer agent to be listed in the MLS. **Post Sign Rental & (Deliver/Install/Pick Up) included with Full Support (upon request) (Not Available in All Areas). ***Post Sign Rental is included with Whole 9 Yards (upon request). If requested, a $75 Deliver/Install/Pick-Up Fee is charged. Post Sign Rental/Deliver/Install/Pickup is available for a fee with other pkgs. Look at your competition and price your home correctly! Our highly rated "Online Success Kit" jammed packed to arm you with the tools you need to sell successfully. Be sure the read the "Super Showing Secrets". Take advantage of our years of helping 1000's of other Successful Clients. Be a Featured Home of the Month on our Premier Website. Like Us Now to Help Promote your Listing. We have been selling homes since 1995.
Review and Itemized Checklist will be sent via email for future reference. 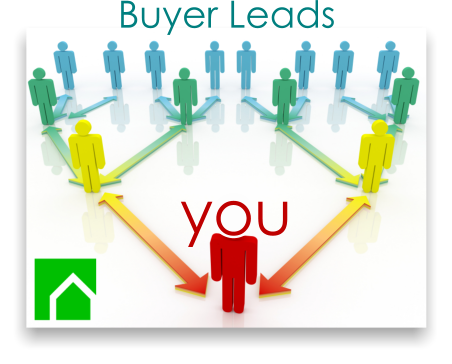 Agents can take advantange of sellers that are not Realtors or Attorneys. They won't take advantage of our Agent who has been in the business since 1994 and is in the Multi-Million Dollar Club and has been a Top Agent for the last 3 years. You instruct the Showing Service how you want agents to set up appointments to view your home. Saves you the trouble of dealing with all the calls. With this upgrade, you will not have to pay $15 for every change. The Supreme Plan is for sellers who just want MLS marketing and Realtor.com, without the extras. You will get the maximum photos the MLS allows. This plan is designed for those who are experienced with the entire selling process and will need very little broker support. Support is available but with extra fees. This program does NOT include a FSBO Listing which is strongly recommended. 1/3 of our buyers come in FSBO thus saving you the ENTIRE 6% commission. All other services can be ordered a-la-carte. 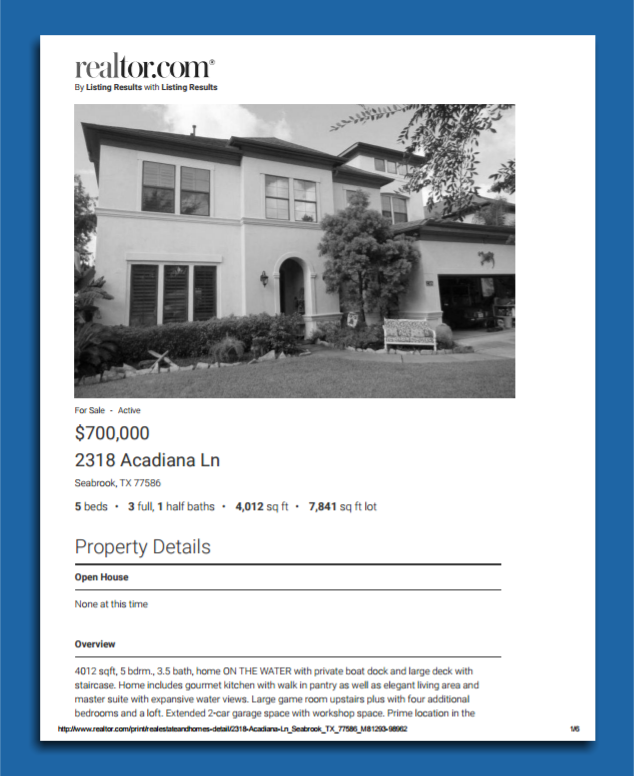 The Enchilada Plan is for sellers who want their home listed in the MLS,on Realtor.com and a listing on our highly ranked FSBO website. If the buyer comes in without an agent, the seller pays 0% commission. If the buyer comes in with an agent, the seller will only pay up to a 3% commission. 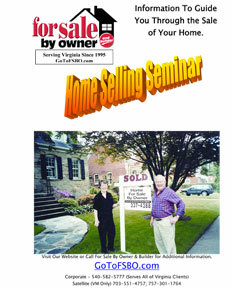 You will also receive: a beautiful flyer that you can print out, max # of pictures the MLS allows for your listing, Online Success Kit, Sign Panel (shipping and tax are extra), comps to help you determine the price of your home and a Realtor or Combo Lockbox (shipping, tax and deposit are extra). This listing plan is good for up to 12 months. All other services can be ordered a-la-carte. For those who want the best MLS marketing, with all the features. This plan includes all that is included with our Enchilada package plus unlimited changes and you will be a featured home on our website and your home will be promoted on our facebook page. In addition, we will review all contracts that come in on your property and we will handle the countering and negotiations with the buyer agent. Remember the buyer agent is looking out for the best interest of the buyer - NOT YOU. We will also show you your approximate closing costs and guide you all the way to closing day. Showing Service (if available in your area) is also included. Post Sign Included + $75 Delivery/Install/Pick Up Fee and $20 Deposit if Post Sign is requested. We go over the contract page by page, discuss and explain all options in detail. Offer advice/opinions and what we would do if it were our home. Show you your approximate closing costs. Guide you all the way to closing day. 6' Professionally Installed Post Sign. Stand out like the other listed homes in your neighborhood. Not avail in all areas. Make your home easy to show so it sells quickly. Realtor Lockbox is available for rent for a small fee. Shipping, Tax and $100 Refundable Deposit will apply. Rent a combo lockbox for agents to view your home. We always recommend the Realtor Lockbox but Combo's are available. There is a $100 Refundable Deposit and Shipping and Tax Charged. With our listings - price changes are always free. All other changes are $15 each including status changes to Under Contract or Sold or Contingencies as well as each picture change. We ALWAYS recommend getting this add-on. This is included with our Full Service Plan. You have a buyer and need us to draw up the offer for you and your buyer. work with seller and buyer to get to closing day. This service is provided during business hours. We also offer after hour support (if needed for an additional small fee). Your listing will be up and running within 1-2 business days. If that is not fast enough - you can pay to have it done the same business day. This does not include after hours, weekend or holidays. Order must be received before 3 pm. We do offer a rush fee for after hours, weekend and holidays if a staff member is available but order must be placed before Friday at 3 pm. You instruct the Showing Service Company how you want the showings to be set up. They will do it for you. Give yourself Piece of Mind by Offering a One Year Home Warranty. If something breaks down, the home warranty company will come in and fix or replace the item. The buyer will then only pay $100 service call. The buyer can renew the plan at the end of the year.